A design studio that codes? Yep, that's us. 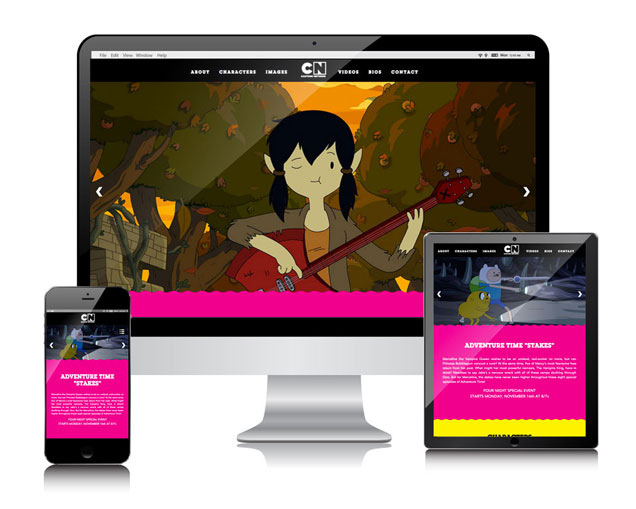 Specializing in designing and developing online tools and websites for product promotions, events, and specialty sites we've helped organizations like Cartoon Network, Quality Care for Children and DragonCon build an engaging and exciting online presence. With over 30 years experience, we've seen PR & media kits evolve from simple typed press releases and logo sheets, to over-the-top promotional items, to highly-interactive online tools. But one thing has always remained constant for us - great creative and pixel perfect production. 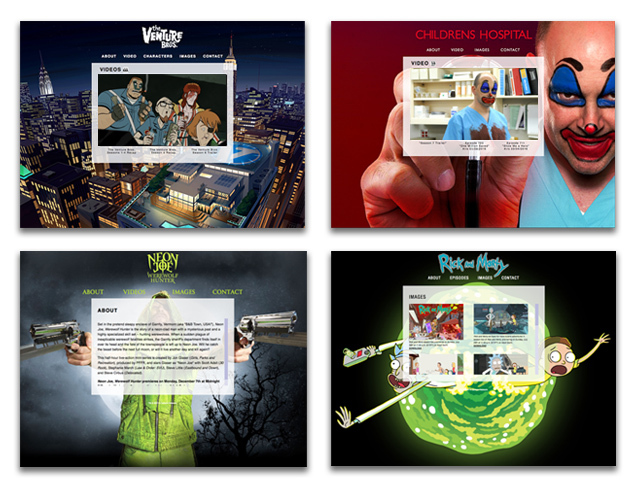 For Cartoon Network's PR site and online media kit, we expanded upon their initial concept art and branding designing and developing a custom coded online tool where visitors from the media can access marketing materials and program content. 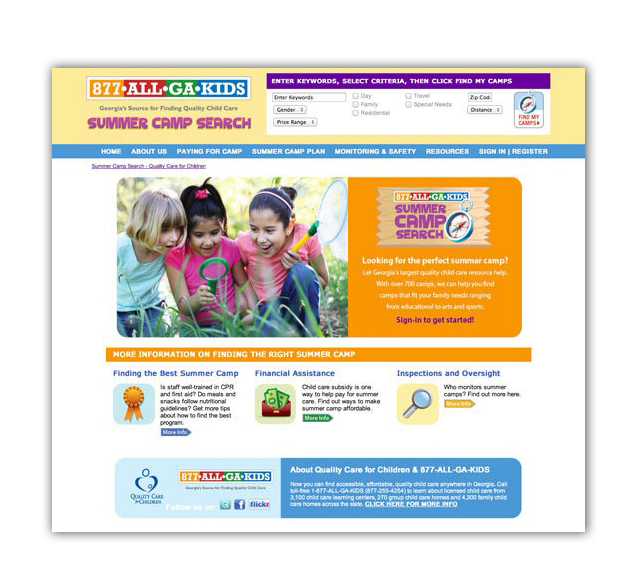 To help parents more efficiently find summer camps for their children, ALL-GA-KIDS hired us to design and create a searchable website for over 90% all of the quality-certified summer camps in Georgia. Parents can input camp types like arts or sports, demographics, and location to find camps nearby that meet their needs. When Flash was finally pronounced dead, we rebuilt Adult Swim's old Flash websites using HTML5 and CSS3 to maximize the functionality of modern web browsers. By using j-query and HTML/CSS animation, we created secure, responsive, mobile-friendly sites that emulated the same animated content of the original Flash sites. Though template-based website solutions may seem cost-effective, they often fail once you try to squeeze your branding into a one-size-fits-all solution. In fact many templates need to be modified so much, your website can end up having a higher cost in the end than custom-coded solutions. 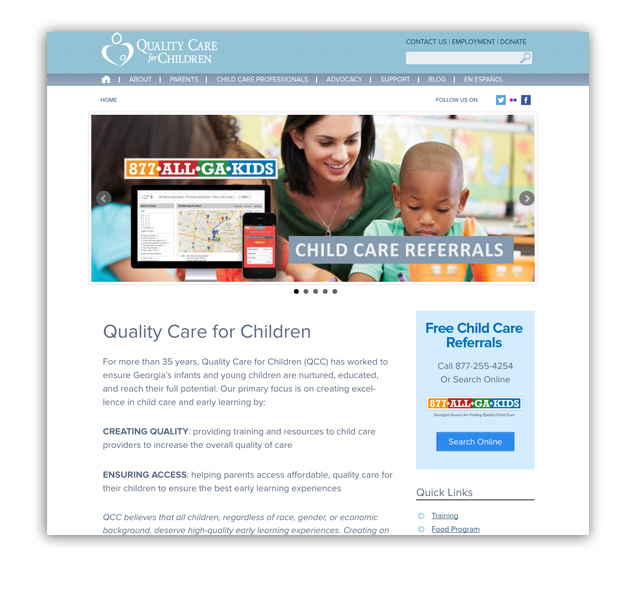 For Quality Care for Children, a non-profit focused on quality early education, resources are best spent on providing services for their users. Limited resources may make you think you have to make creative sacrifices that compromise your branding, but careful planning upfront can allow the creation of a flexible, modular system that reuse elements over several years, while still looking fresh. It's all about goals, planning, and being creative. We get it, and we can help. WordPress is a powerful tool. But for many larger organizations the templates available do not fit all of their needs adequately. 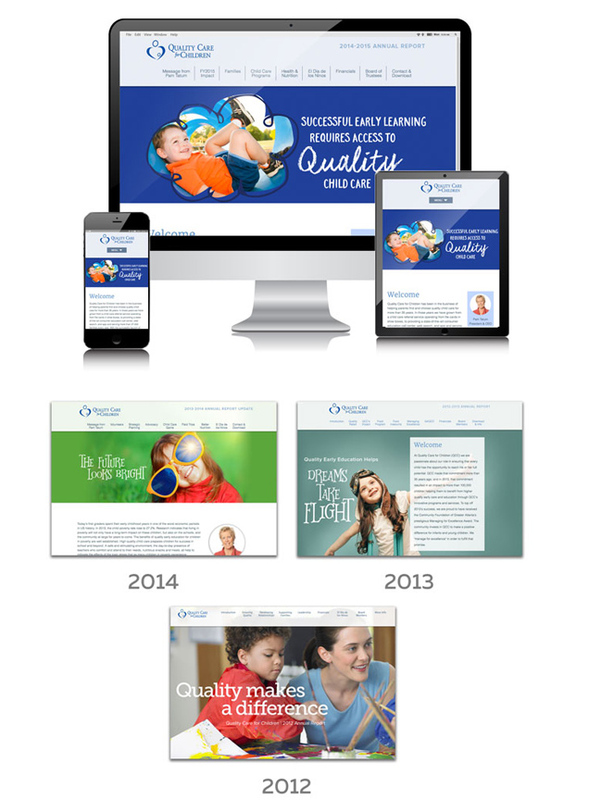 For Quality Care for Children we designed and developed a custom WordPress template to fit their needs. Great design is nothing without great code making it sing. 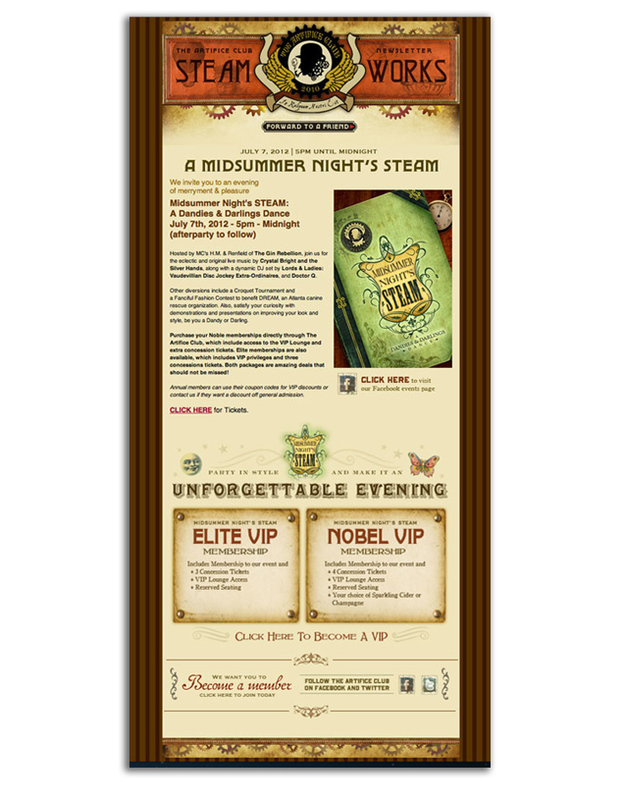 At Persuasion Bureau we're known for great design, like this steampunk newsletter, but our secret weapon is great digital production. We can seamlessly carry a brand from print, to online, to mobile having it feel "native" to each platform.